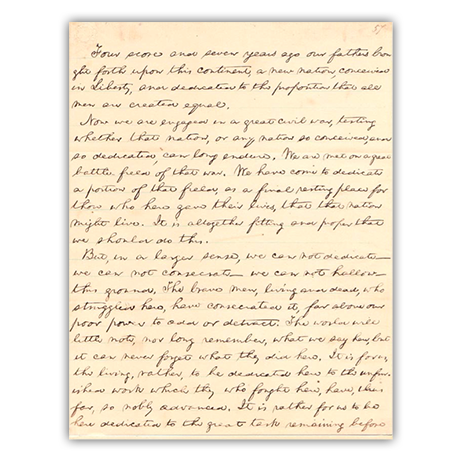 Graphic Conservation Company worked with the Illinois State Historical Library to restore this copy of the Gettysburg Address. 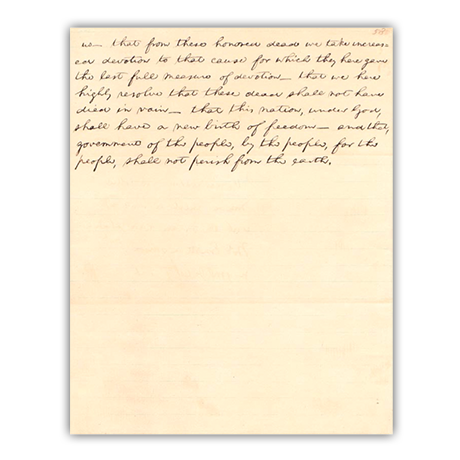 One of only five copies handwritten by Abraham Lincoln, this document underwent treatment to ensure its continued preservation. Our conservators deacidified the document, removed adhesive residue from its back, and repaired its tears and weak areas. A custom mount was then created to protect the document.